Fronts Available In Striped Technicolor, Grey Technicolor, White Tecnolite Or In One Of Our 35 Matt And Glossy Colours To Give The Maximum Personal Expression. 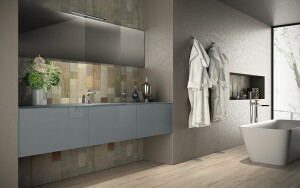 White Tecnolite Or Technicolor Shelves, Waterproof And Easy To Clean. 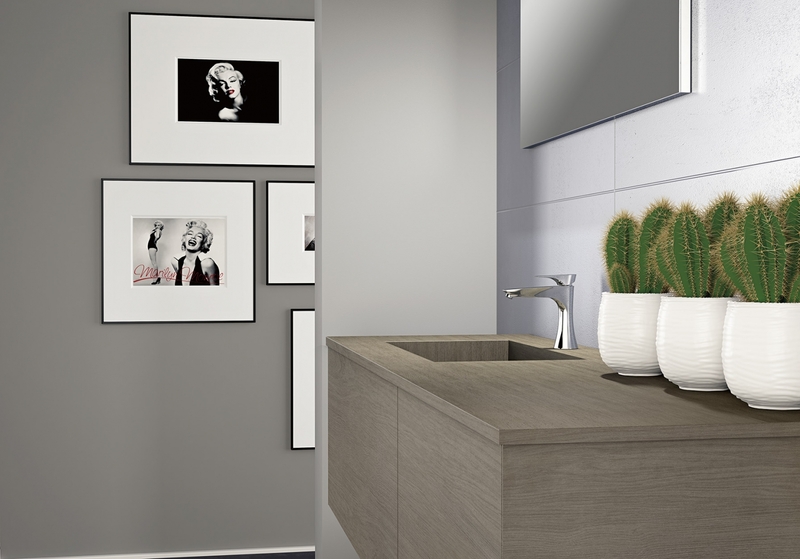 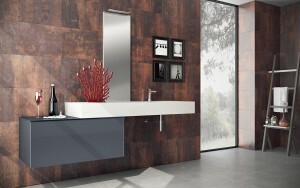 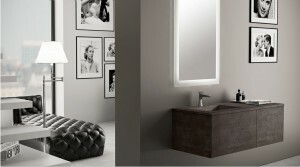 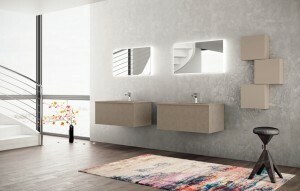 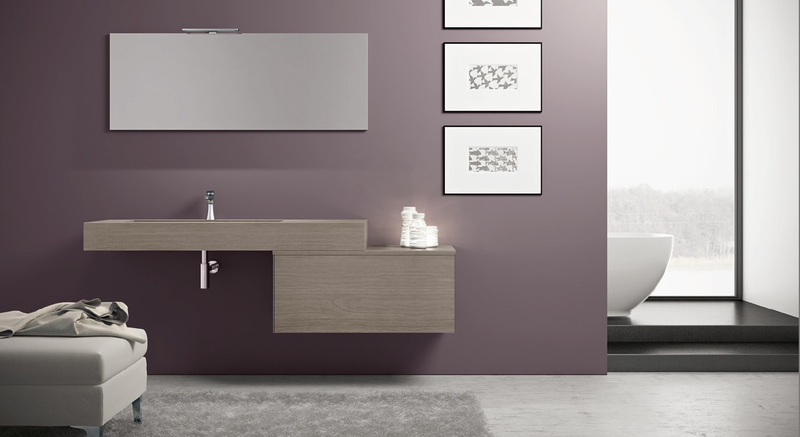 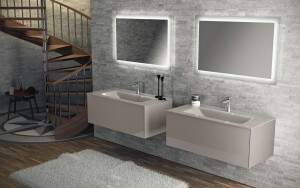 An Elegant And Practical Bathroom, With A Refined Design And An Incredible Storage Space. 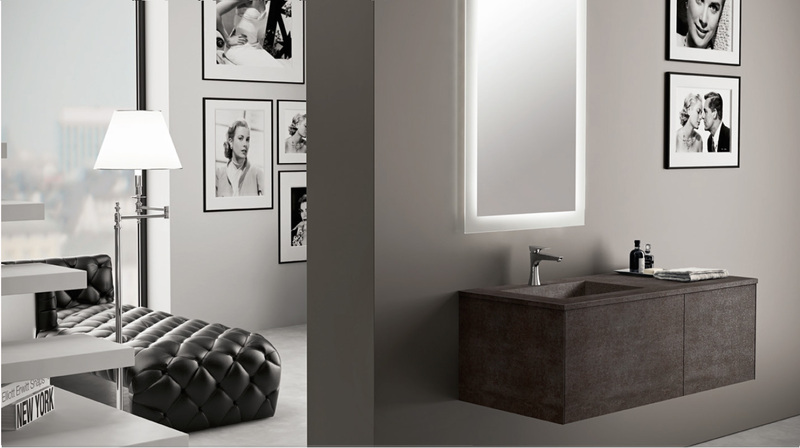 The Juxtaposition Of Compact And Empy Spaces, Underlined By The Dark And Pale Shade,Creates Balance And Chromatic Dynamism.